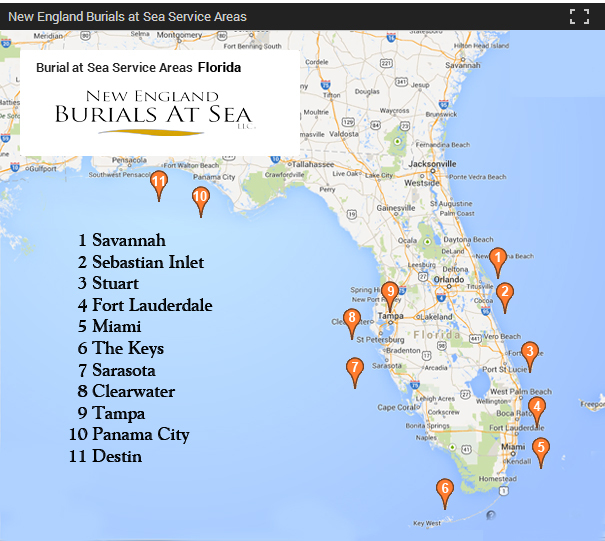 The nation’s most requested at sea burial service offers affordable, individualized and personal memorial ash scattering services from many locations along the east coast of Florida from Port Canaveral to the Miami and the west coast from the Keys Tampa, currently departing from the following ports. Our Veterans program has been expanded in Florida to serve it many veterans, disabled veterans and seniors that may need ADA conveniences. Retired Army Capt. R. Christan Haufler, in charge of our Veterans program, is a practicing attorney with Haufler Family Law in Florida and Massachusetts, works closely with our clients to help confirm veteran’s benefits including earned shoreside honor guard with American flag folding / presentation and helping to coordinate the needs of veteran benefits for widows and children. 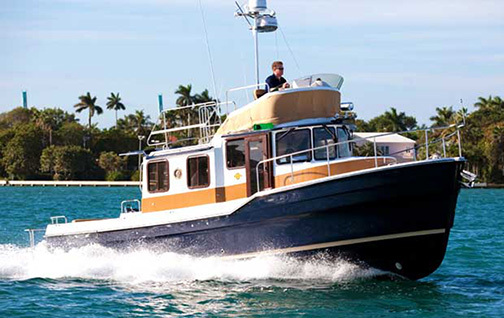 We are also proud to announce a brand new six passenger (plus crew) Ranger tug boat, which fast-cruises at 20 knots in full air conditioned comfort departing from the Jupiter & Stuart areas of Florida for up to six passengers. She is fresh, new and comfortable and can operate most anywhere in coastal Florida”. 31′ Ragner Tug. Photo courtesy of the Ranger Boat company.